Abderrahman Slaoui was a businessman who loved the arts. 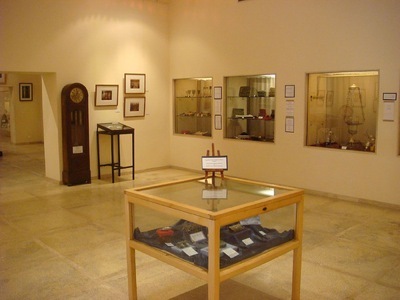 Newly opened this past May 2012 is Abderrahman Slaoui’s Foundation Museum located in Casablanca. The Musee De La Fondation Abderrahman Sloaoui is set up in the home of a charming art deco building dating from the 1940’s. 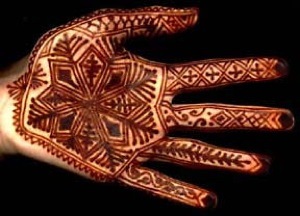 Casablanca’s Musee De La Fondation Abderrahman Sloaoui is dedicated to Moroccan jewelry and decor. 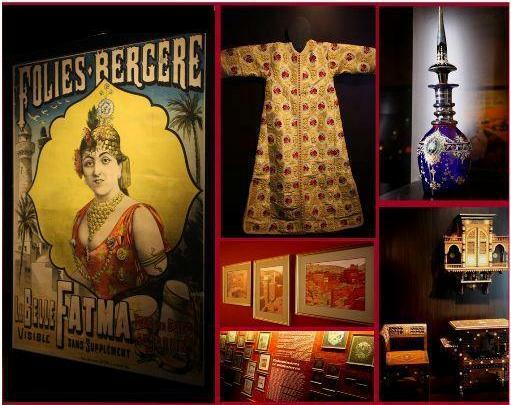 Located in the heart of the historic district in Casablanca, Morocco Slaoui’s museum contains a unique ecollection of antique jewelry , vintage posters by great artists like Dinet, Majorelle and De La Neziere; miniatures. The museum also boasts 19th century Bohemian crystal boxes, illuminations and other objects collected from around the world. Visiting Slaoui’s Museum is like retracing the steps of a world traveler. Abderrahman Slaoui was a traveler, humanist and esthete, a “treasure hunter” for over fifty years. His collections of artistic and ethnographic pieces are the result of patience and persistence in creating a collection. The museum was born out of Slaoui’s exhibitions of “Moroccan Treasures” and opened several months prior to his death. 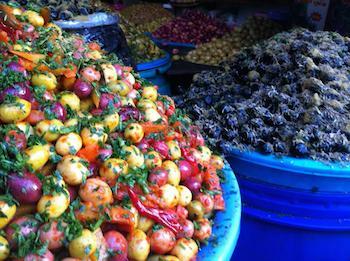 When visiting Casablanca on a one-day tour from the Port or a general Casablanca Tour a trip to see Abderrahaman Slaoui’s collection is a treat. 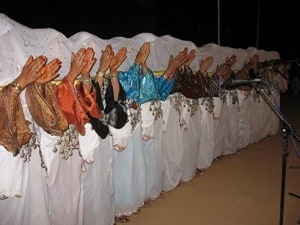 A private one-day tour of Casablanca, Morocco is the best way to see the city if you’re arriving from the Casablanca airport or a short visit or if you’re coming by way of cruise ship into the Casablanca Port. Casablanca. Casablanca Tours are available from the airport, your Casablanca hotel or the Port of Casablanca. Casablanca or more affectionately known as Casa has a population of three and a half million and is the largest city and port in Morocco. It’s also the biggest city in the Maghreb and the sixth biggest city in the entire continent of Africa. Casablanca, the most famous name in Morocco Travel, is considered the economic capital of Morocco because it is the heart of Moroccan business. It is also the primary naval base for the Royal Moroccan Navy. Casablanca is the headquarters and main industrial facilities for leading Moroccan and international companies based in Morocco. 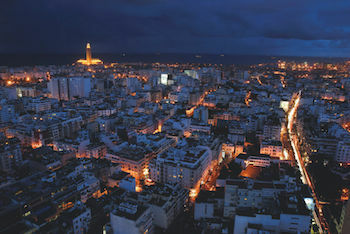 Industrial statistics show Casablanca retains its historic position as the main industrial zone of the country. The area which is today Casablanca was settled by Berbers by at least the 7th century. A small independent kingdom, in the area then named Anfa, arose in the area around that time in response to Arab Muslim rule, and continued until it was conquered by the Almoravids in 1068. Originally modeled after Marseilles when the French landed Casa in 1907, Casa is the most European of Morocco’s cities and is known as a huge metropolis where modernity and tradition co-exist. As a tourist you can enjoy Casa’s bustling new town or its old medina and also meet immigrants from the countryside. At night you can dance at beach clubs and rub shoulders with the elite and also dine in some of the most liveliest and tasteful seafood restaurants on Casa’s port, the Corniche. Casablanca also has one of the only Jewish Museums in the Muslim world. 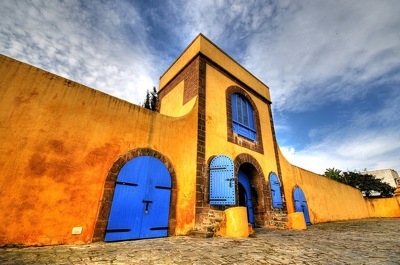 The Museum of Moroccan Judaism of Casablanca is a museum of history and ethnography, created by the Jewish Community of Casablanca in 1997 with the support of the Foundation of Jewish-Moroccan Cultural Heritage. It uses world-class standards of conservation for its national and international collections. The Museum, which covers an area of 700 square meters, is the first of its kind in the Arab world. It consists of a large multipurpose room, used for exhibitions of painting, photography and sculpture; three other rooms, with windows containing exhibits on religious and family life (oil lamps, Torahs, chanukah lamps, clothing, marriage contracts (ketubot) Torah covers…) and exhibits on work life, two rooms displaying complete Moroccan synagogues; a document library, a video library and a photo library. 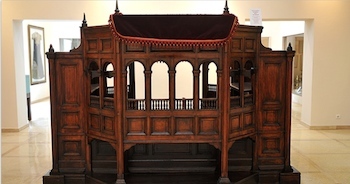 The Museum offers guided visits, sponsors seminars and conferences on Jewish-Moroccan history and culture, and organizes video and slide presentations. ►Pick up at the Your Hotel or The Port in Casablanca at 9:00am. ►Start your morning off with coffee and baguettes at one of the cafes at Parc de La Ligue Arabe, a huge garden with avenues lined with tall palm trees, ficus , arcades, pergolas and flower beds. 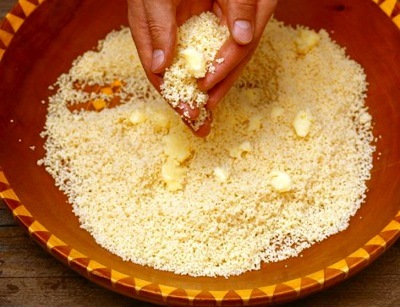 ►Moving north, we will take the road towards the old medina as you move through Place Mohammed V and the Place des Nations Uniones, the main focal points of Ville Novelle, Casa’s new town. See French architecture complemented with Moorish design in Place Mohammed V, the protectorate square. Pass by the prefecture, law courts, central post office and cultural centers. ►Make sure you have a camera in hand to take pictures of the famous clock tower, art deco hotels, the eleven story Moretti apartment block and the high rise art deco buildings covered with loggias, columns, zellij tiles and geometric carvings on Boulevard Mohmmed V. Visit the famous residential blocks: the Glaoui, the Bessonneau and the Asayag. The Boulevard links Place des Nationes with the railway station and is the gateway to the central market. Continue a short way to the Avenue des Forces Royal, a commercial area that leads into the old medina. With the help of your guide, move easily through the labyrinth of narrow streets lined with jewelers, barbers and artisans. See the squala, a fortified 18th century bastion. Visit the nearby shrine containing the tomb of Sidi Allal el-Kairouant, Casa’s first patron saint. ►Enjoy lunch at one of the international restaurants by Casa’s port, the Corniche or Rick’s Cafe- a famous Piano Bar run by an American and named after the Movie “Casblanca.”. 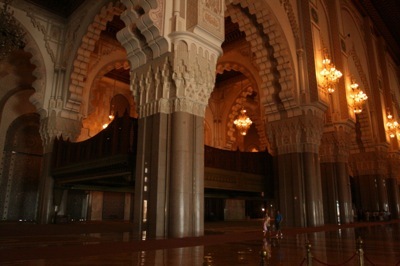 ►After lunch visit the Mosque of Hassan II. 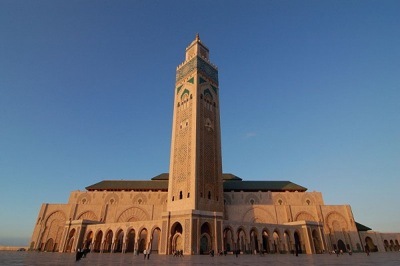 Casablanca is home to the Hassan II Mosque, designed by the French architect Michel Pinseau. It is situated on a promontory looking out to the Atlantic, which can be seen through a gigantic glass floor with room for 25,000 worshippers. ►A further 80,000 can be accommodated in the mosque’s courtyard. Its minaret is the world’s tallest at 210 meters. Work on the mosque was started in 1980, and was intended to be completed for the 60th birthday of the former Moroccan King Hassan II, in 1989. However, the building was not inaugurated until 1993. Authorities spent an estimated $800 million in the construction of the building. It is an enormous architectural masterpiece and the second largest religious building in the world. Tour its famous minaret, dome, royal doors made of marble. On Fridays, the Mosque of Hassan II is open to non-Muslims. ►The Mosque of Hassan II’s promontory offers lovely views overlooking Casa in the residential Afna quarter. After touring the Mosque, head over to the New Town of Casablanca also designed by the French architect Henri Prost for an hour of shopping. The main streets of the New Town (Ville Nouvelle in French) radiate south and east from Place des Nations Unies, where the main market of Anfahad been. The New Town you past in your morning journey is possibly the most impressive in Morocco. Former administrative buildings and modern hotels populate the area. 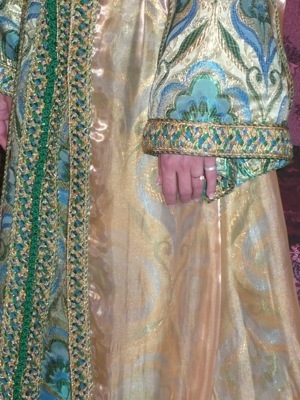 Their style is a combination of Hispano-Mauresque and Art Deco Styles. 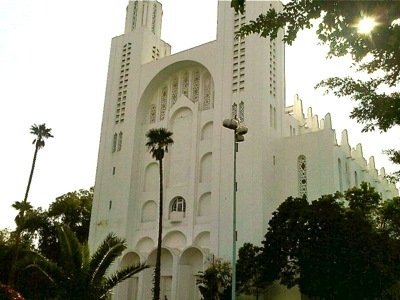 ►Visit Temple Beth-El, the Jewish Synagogue in Casablanca. Beth-El, is considered the center piece of a once vibrant Jewish community. Its stained glass windows and other artistic elements, is what attracts tourists to this synagogue. ►Visit the Jewish Museum in Casablanca. ►Next visit the old Jewish Mellah of Casablanca. 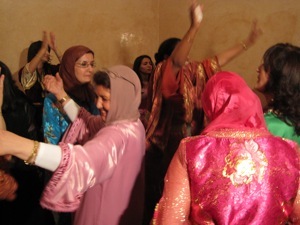 The Jewish Mellah of Casablanca is young by Moroccan standards, not much more than a century old. It assaults the senses in the evening, with a sea of women in brightly colored djellabas carrying and selling fruit and vegetables throughout the cramped, narrow streets. While Jews no longer live in the mellah, kosher butchers are found in the old market, next to other butchers selling horse meat. The Jewish cemetery in the mellah is open and quiet, with well-kept white stone markers in French, Hebrew and Spanish. 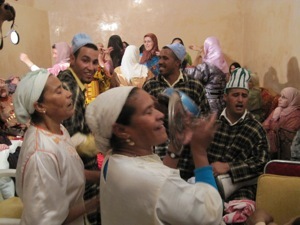 Once a year, Casablancans celebrate a hiloula, or prayer festival, at the tomb of the Jewish saint, Eliahou. ►The 4,500 Casablancas’ Jews live outside the mellah in the European city, where they worship in over 30 synagogues, eat in kosher restaurants, entertain themselves in community centers, and attend Jewish schools and social service centers. Beth El is the largest synagogue and an important community center, seating 500 persons. ►End the day with a visit to The Parc de la Ligue Arabe (formally called Lyautey) which is the city’s largest public park. On its edge is situated the Cathedrale du Sacre Coeur, which is disused, but is a splendid example of Mauresque architecture.